Loesch was hired in February by the National Rifle Association, as the new official spokesperson. Dana has a radio show "The Dana Show," and a television show on TheBlazeTV. The book "Hands Off My Gun: Defeating the Plot to Disarm America" written by her. They shut it up worse, everyone knows that weapons have no other purpose than to hurt or kill, the only thing that varies in this is the magnitude of the damage according to the capacity of the device. Not all the tragic events that take place in the world are the result of a twisted and confused mind. There is the case of the Pulse nightclub, the purpose that its author was pursuing was religious, the massacres with AR-15 have been carried out by young people of 19 years, as it happened with the one of Parkland. An organization associated for many years with white men of advanced age, now puts in front a woman. Dana Loesch is the new face of the National Rifle Association. Young, friendly, photogenic, daring and skilled to communicate with the public. Despite this, Loesch is not softening the message of the American association that defends the right to have weapons while the NRA becomes increasingly a powerful voice in the war environment of the country. With opinions ranging from migration to the media. Loesch has become the main message of the NRA, especially after the tragic events of February 14 where 17 people died in the hands of a 19 year old teenager and 15 others were seriously injured. Reckless and combative, Loesch was part of the CNN forum attended by parents and students of the Marjory Stoneman Douglas school and moderated though she was booed when she took the stage. According to Charlie Sykes, a well-known and experienced radio host and critic of the NRA said that Loesch is communicating with a wide range of Americans while maintaining the conservative base built by Wayne LaPierre, executive vice president and general manager of the NRA, since 1991. The presenter also claims that Dana has the capacity and personality of an angry white man. 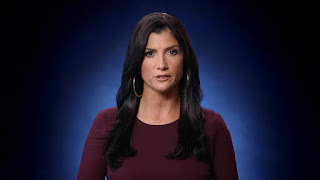 Before assuming the position of spokeswoman in the NRA, in 2017, Dana had a considerable base of conservative followers in social networks, cultivated during years during appearances in television and radio, among them is the radio show The Dana Show. Loesch recently claimed none of the 5 million NRA members can feel responsible for a tragedy they had nothing to do with. In the same way, he asserted that mass media adore mass shootings because white mothers who mourn the loss of their children is the result of a golden audience. Terrible as it may seem, the United States and the world will continue to witness tragic events such as the February 14 massacre because there is clearly a considerable part interested in politics that will not take sides in the matter, although parents and relatives of the Victims who died riddled with bullets ask them to act in some way.